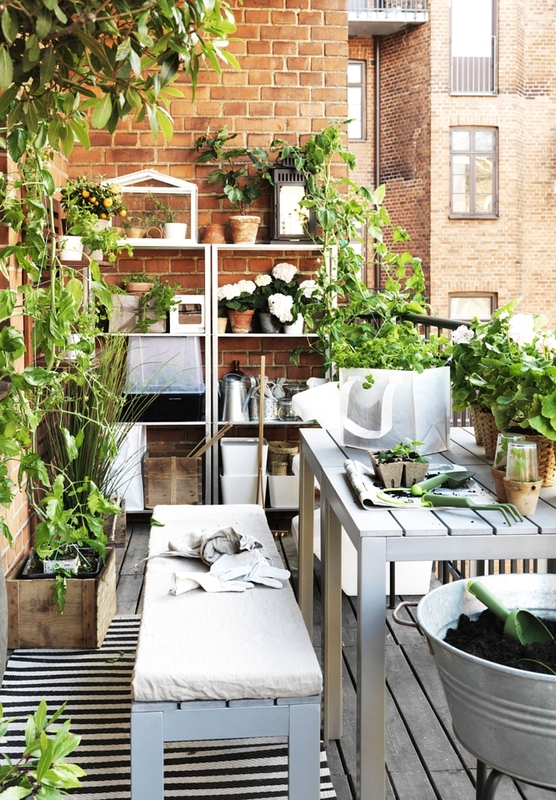 Even a really tiny space has the potential to be a refuge from the rest of the apartment, where you can relax under the sun. 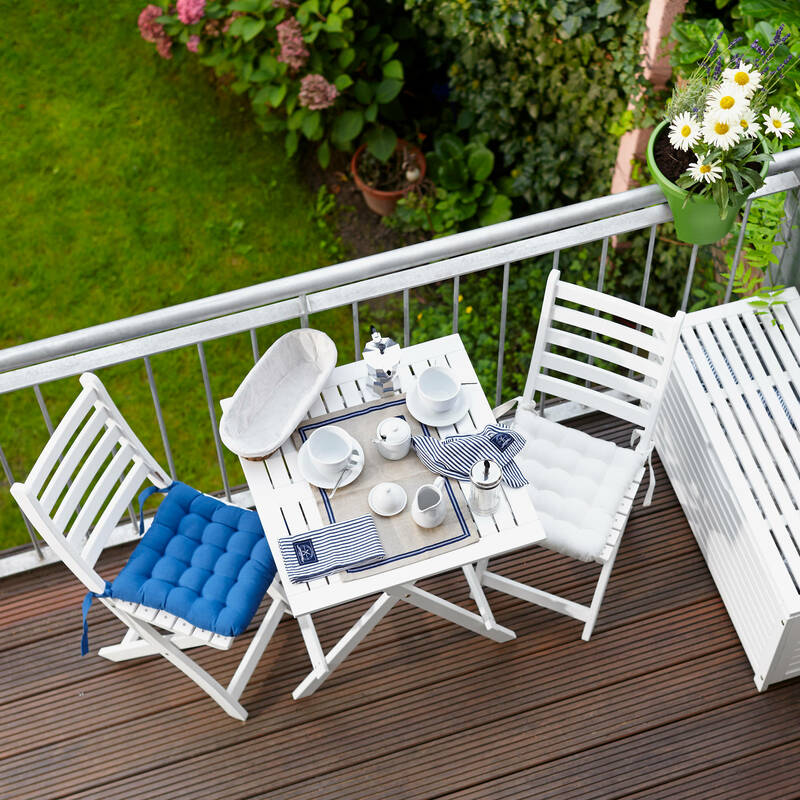 Balconies are extensions of your home and should be connected with your indoor interiors. 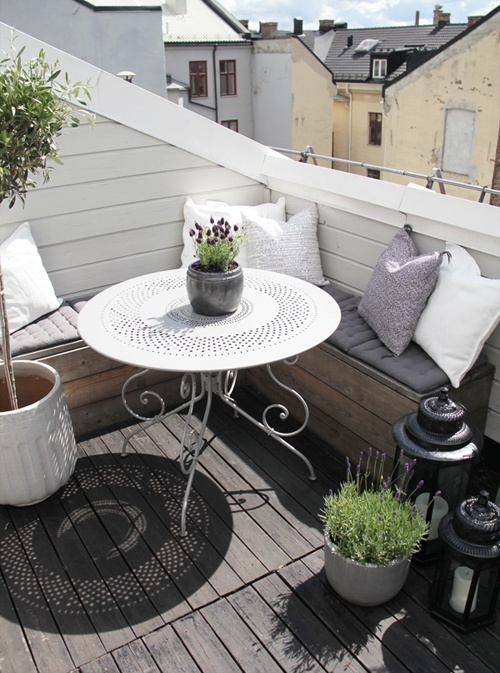 By adding the right decoration you can create a comfortable and charming outdoor space. 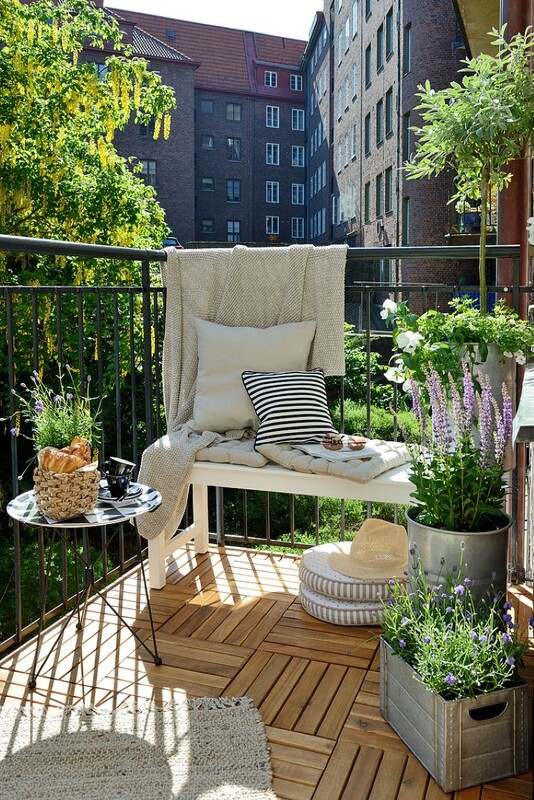 An cozy outdoor seating area, lanterns, flowers and plants in beautiful pots are all you need to create your little outdoor paradise. 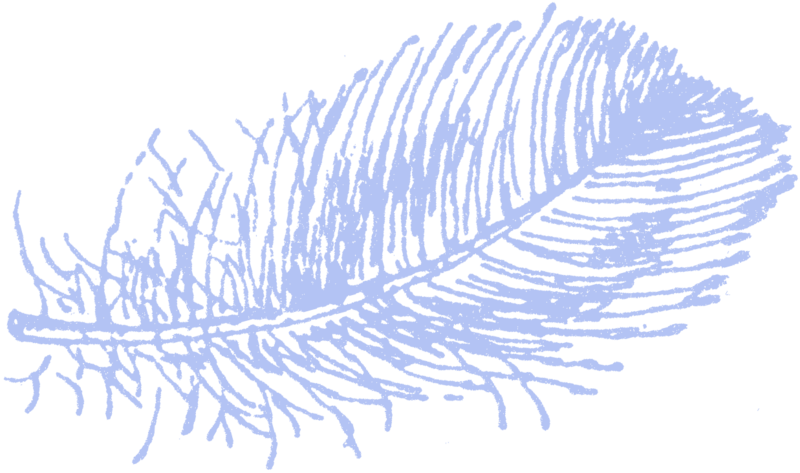 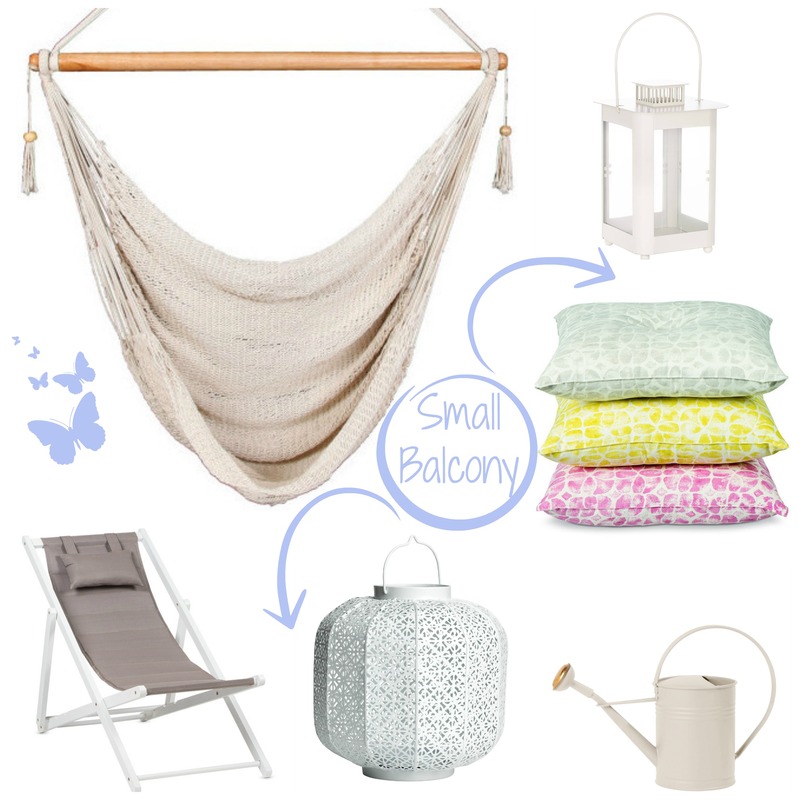 Here is a collection I have put together to inspire you to create your special outdoor space. Make your balcony comfy with many cushions. 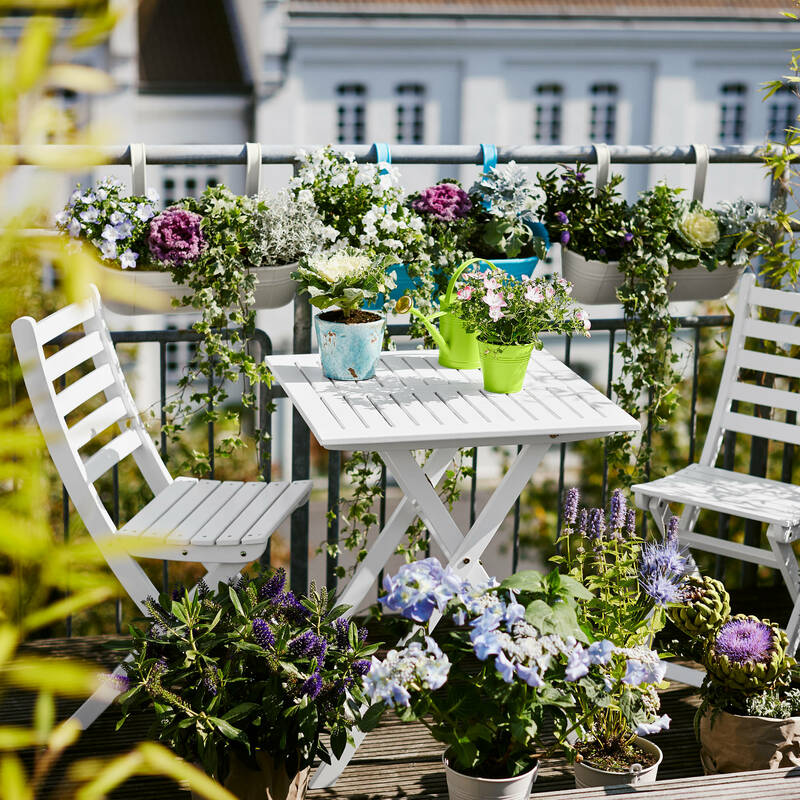 Various plants and flowers transform your balcony into pleasant oases.